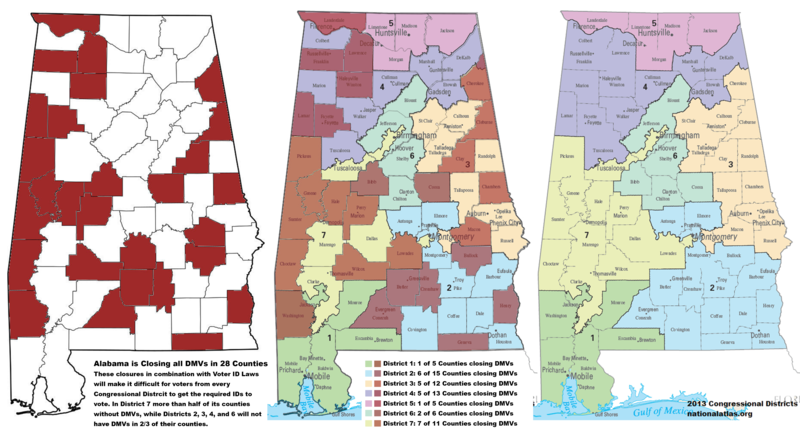 Get the facts on the voter fraud case in Alabama surrounding absentee ballots and District 2 City Commissioner Amos Newsome. The above video comes from DothanFirst.com the local news organization. District 2 City Commissioner Amos Newsome won an election bid in 2013 due to getting more absentee ballots. Newsome received 119 of the 124 absentee votes that were cast, winning by only 14 votes. He beat out of opponent Lamesa Danzey who later brought charges of voter fraud against him. Four women from Alabama have been charged with voter fraud in Alabama for collecting these absentee ballots, three were convicted. Olivia Reynolds 66 of Dothan (Newsome’s girlfriend), was just convicted on 26 counts of absentee ballot voter fraud by Judge Henry D. “Butch” Binford and a Houston County jury after less than an hour of deliberation. Another woman Lesa Coleman had been convicted of seven of the 11 felony absentee ballot charges against her. 64-year-old Janice Hart was also convicted. When brought to court many of those who cast ballots admitted that they didn’t understand the ballot they were casting, rather the women above would show up at people’s houses, ask if they had received an envelope, and have them sign the enclosed document without properly explaining what was happening. This case is important because it encapsulates pretty much every issue with voter fraud in America in one case. Let us bullet-point this out in a simple way. 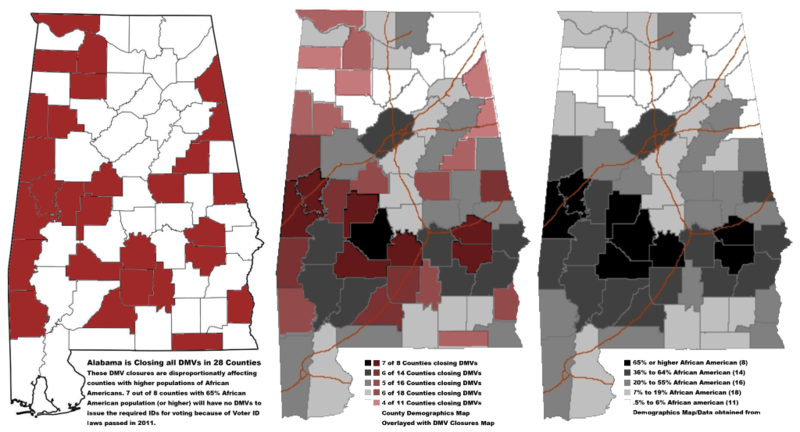 Alabama is the home of Selma. This was ground zero for Martin Luther King Jr.’s famous march on Selma that led to the 1965 Voting Rights Act. 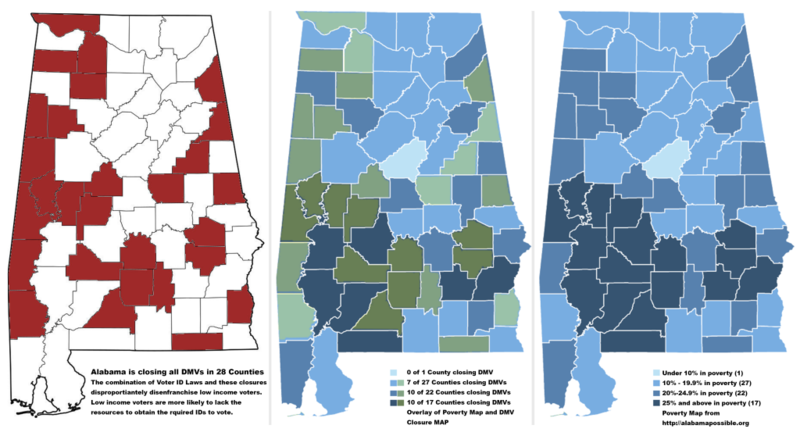 The Voting Rights Act protected against the voter discrimination and voter suppression that was rampant in the south at the the time. A wide array of voter suppression tactics were used to prevent black American citizens from voting prior to 1965. These included a poll tax and other barriers designed specifically to keep low-income black people from voting. 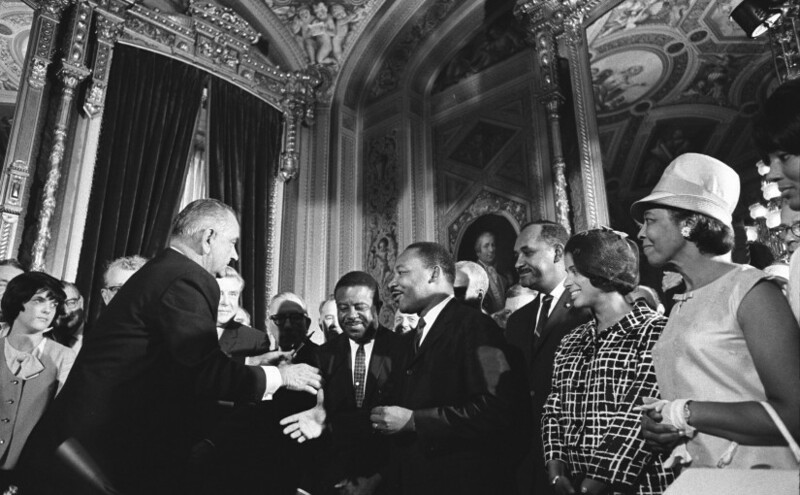 Today important parts of the Voting Rights Act have been stripped away and in their place we now have voter ID laws. Voter ID laws are said to disenfranchise non-white, low-income, student, and senior voters. Some say these are essentially a modern day poll tax. Most of the absentee ballots came from a district that included a lot of low-income black voters. 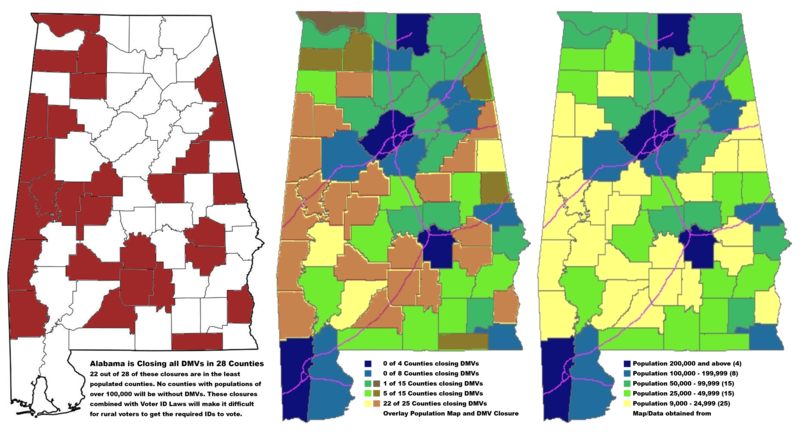 Voter ID laws would not have necessarily prevented absentee ballot fraud, although one does have to be a registered voter to be issued an absentee ballot in Alabama. So to be clear, not one voter fraud conviction in this election was due to in-person voter fraud (the kind of voter fraud voter ID would protect). Instead what we have is convictions of the incumbents girlfriend and two other supporters of absentee ballot voter fraud. This shows an going trend that we have noticed since starting this site, it is much more common for voter fraud to happen on a group level than an individual level. Types of voter fraud like voter suppression, redistricting, and other voter fraud that occurs at a group level involving politicians (especially incumbent politicians who already have some amount of political power) seems to be the real problem in the US. Yet, the new voting laws that are replacing the Voting Rights Act of 1965 are all focused on the individual. This recent report from the Heritage Foundation compiles a list of 275 instances of voter fraud. Only 6 crimes would have been stopped by Voter-ID. This report was presented as evidence for the need for Voter-ID laws in an article for the Daily Signal, “Nearly 300 Cases, the Extent of Voter Fraud in America.” When taking a closer look at the actual data contained within this report, its hard not to notice that the evidence does not support Voter-ID laws as a solution. While the report did contain a lot of relevant information about these 275 instances of voter fraud, it does a poor job of presenting it in a clear and coherent way for critically thinking about these issues. If we, as a country, are going to have any meaningful conversation about voter fraud and how to actually prevent it, we MUST take a long hard look at the data. It is not enough to just list off instances without analyzing the details. In this way, the Daily Signal’s article failed to offer the kind of depth required for any real conclusions to be made. False Registration cases involved everything from putting a false address to vote in a specific election, to intentionally registering in more than one state or district, to registering as multiple different people (identity theft). The bulk of these cases involved eligible voters intentionally registering and voting in more than one state or lying about their place of residence to vote in a particular election. Those that involved registering as multiple people also involved the use of absentee ballots. 55 of these convictions were for registering to vote in a district they did not live in. 11 more convictions were registered at the wrong address in order to run for office in a particular district. This included a Mayor in California who was mayor for 50 years before caught. 51 of these convictions were for registering as multiple people (no information provided about the use of absentee ballots or not). However, most were registration drive employees registering people multiple times, deceased individuals, or persons known to be ineligible to vote in order to boost their registration numbers. Employees of these kind of drives often get bonuses for high registration numbers or have quota’s to meet; it is unclear whether they actually intended to cast fraudulent votes during an election. 63 individuals registered and cast absentee ballots for elderly and disabled people. 3 individuals in California convinced more than 100 people to sign a petition “to fight breast cancer” when they were actually changing their registered party affiliation to Republican. While disturbing and illegal, a person’s party affiliation does not affect their ballots in any way. 1 other individual was also convicted for attempting to change party affiliation of 280 voters. 2 individuals were convicted for registering as someone else, but also had fake ID’s to match. In fact, DMV’s facial recognition software was the reason one was caught. 2 falsely registered and did use absentee ballots. 3 individuals were convicted because they changed their address the day they voted in a new district in Ohio. Ohio requires you be a resident for 30 days before voting. 1 individual living and voting under a false identity was caught due to Voter-ID laws. Voter-ID laws only deter False Registration cases in so far as the individuals registered as someone other than themselves, went in-person to cast the vote, and did not have a fake ID to match. This was only known to be the case in 1 out of 191 convictions for false registration. However, many of these would have been impossible with a single digital record of all registered voters which could identify duplicate registrations, characters from movies, and easily checked against death records. Vote buying involves a person paying someone to vote a certain way, but in many of these cases it also involved buying absentee ballots. Voter-ID laws do not prevent the buying of votes and, ultimately, this is a type of fraud that would be difficult to hinder except through harsh sentencing. Absentee Ballot Fraud typically involves forging someone’s absentee ballot. These cases involved forging absentee ballots, stealing them, and registering as someone else (sometimes deceased people). Two of the convictions for Impersonation Fraud at the Polls (listed below) actually involved absentee ballots, so that puts the total for Absentee Ballot related fraud at 138. Voter-ID laws have zero impact on absentee ballot fraud. Oddly, there have been no suggestions from politicians on how to reduce the instances of fraudulent absentee ballots and most want to expand the use of absentee ballots. Currently, most states use signature verification to check against the signatures on the voters’ registrations, but this is only effective in cases where individuals did not also forge the signature on the registration. Ineligible Voting involves casting a vote when you are not actually eligible to vote. The bulk of these cases involved disenfranchised felons voting when they were not eligible. Felon voting eligibility differs from state to state and it can get confusing, but to get convicted in this kind of case, evidence must be given that the individual knowingly broke the law. Some of these convictions involved non-citizens voting. 26 of these were felons in states where they were not eligible to vote. 6 were non-citizens who voted: 1 was the youngest delegate at the 2000 Republican National Convention, 1 voted before gaining citizenship (was caught after gaining citizenship), and 1 used an absentee ballot. 2 were non-citizens living under false identities and presumably had false ID’s to match. 1 was a city election official convicted for “fraudulent receipt of ballot” and misconduct. 1 was convicted for interfering another voter while he/she was voting. 1 was a mother who convinced one of her sons to vote for another incarcerate son. she was also convicted of Impersonation at the Polls. 8 cases did not provide any details other than their convictions. Ballot Petition Fraud involved forging signatures on petitions when trying to get initiatives on a ballot. It is illegal, but these initiatives would still have to pass the voters to become law. Voter-ID laws do not stop people from forging signatures in order to get initiatives onto the ballot. 7 of these made use of absentee ballots to cast multiple votes. 5 voted both in-person and with absentee ballots. 2 were convicted of duplicate voting in elections in which they were candidates. 4 voted in more than one state, but no details were given as to whether this was in-person or absentee. They were all registered to vote in both locations though. 4 others registered and voted in more than one state in-person. 2 registered and voted in more than one county. 4 tried to cast 2 votes in-person in a single election including a homeless man who registered and voted under the same alias 2x. Only 2 of these convictions was for voting under someone else’s identity and no details were provided as to whether this was done in-person or via absentee ballots. Voter -ID laws do not affect the majority of these cases. All except 2 individuals in these cases voted under their own identity. 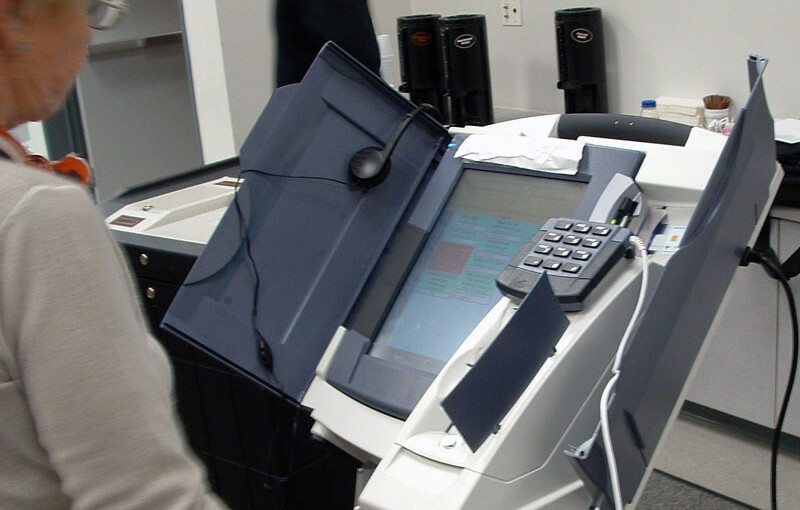 Those 2 cases did not provide information about whether absentee ballots were used or not. In-person impersonation fraud is the only type of voter fraud which the Voter-ID laws are capable of affecting. It involves an individual actually going to a polling station and voting under someone else’s identity. 5 of these convictions actually involved someone going to the polls in-person and one of those cases turned himself in, claiming he only did it to prove a point. 2 other convictions were both elderly widows who cast their deceased spouse’s absentee ballots. Only 5 of these crimes would have been stopped by Voter-ID laws. There were 10 other convictions in this report that covered a variety of crimes. Unfortunately, the majority were committed by election officials and poll workers. 2 convictions of Unauthorized Access, neither a poll worker or election official. 1 of these individuals was originally charged with Buying Votes, but he plead down. 1 convicted for Voter Intimidation, also not a poll worker or election official. 1 conviction for Attempting to Influence the Vote by a Republican campaign manager. 1 conviction for Bribery by a County Judge. 1 conviction of a poll worker casting Fraudulent Ballots. Voter-ID laws would not have affected any of these cases. Seven of these cases involved people who have power and authority in the election process. The sheer number (609) of voter fraud related crimes is a bit disheartening and it is important to have meaningful discussions about how to deter these kinds of crimes from happening. It is also important to take into consideration the millions upon millions of votes cast during this time frame. While voter fraud is real, the fact is that it is relatively uncommon. In addition, all of these crimes were caught (except 1) because of the security measures that were already in place before Voter-ID laws became a thing. To a certain extent, this should offer some peace of mind. After reviewing all 275 instances of voter fraud within this report. Only 6 of these crimes would have been prevented under Voter-ID laws. That represents less than 1% of these crimes, but these same laws disenfranchise thousands of eligible voters. At the same time 138 convictions were related to Absentee Ballots, or 23%, and no politicians have put forth any legislation to address it. The largest crime represented in this report was False Registration comprising 31% of the convictions, but this is another area which is difficult to legislate away without disenfranchising law-abiding voters, but he development of electronic voter registration rolls would help. I am not suggesting that we should ignore voter fraud and hope that it goes away, but I am suggesting that we approach it in a rational way. Blindly supporting legislation which disenfranchises thousands (if not hundreds of thousands) of elderly, poor, and young voters and does almost nothing to deter actual voter fraud is not a rational approach. 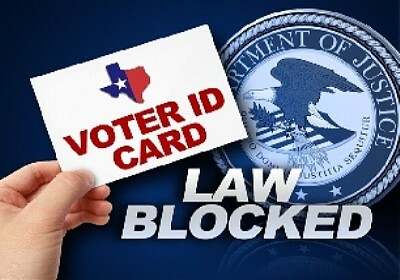 On Wednesday, Aug. 5th the 5th Circuit of the US Court of Appeals struck down major portions of the Texas Voter ID law for violating the Voting Rights Act. While the ruling was a win for opponents to the Voter ID laws, the three judges unanimously disagreed with the lower courts assertion that it amounted to a “poll tax”. Instead, they simply recognized that the number of elderly, women, and poor (who are disproportionately minority) voters that are disenfranchised by the law is an unacceptable sacrifice and amounts to discrimination. Next, the Court will judge whether this was an intentional move on the part of the law-makers. Supporters of the law argue that it thwarts voter fraud. Unfortunately, the only kind of voter fraud that is affected by the law is in-person voter fraud. All types of voter fraud is rare, but in-person voter fraud is the rarest. This type of fraud is also the least likely to accomplish anything since it requires a person (or persons) to actually go to the voting polls and cast a vote impersonating another person. The law itself did not single out minority groups, the elderly, or the poor. The implications, however, disproportionately affected these groups. Many elderly individuals lacked approved types of identification, lack the financial and other means to obtain such IDs, and some even lack the documents required: like a certified copy of their birth certificate (which costs money and, ironically, often requires a photo ID to get). Traditionally, women change their last names with marriage and many change them back again in cases of divorce. If their lasts names don’t match their ID… Getting your name changed on your ID requires a certified copy of marriage or divorce from the courts. They cost money, it takes time, and many courts have limited hours of operation for their records services. The largest group of individuals that lack the IDs required by the law are the poor. In texas the poor. They lack the financial means, the documentation, the transportation, and often the time. The working poor in rural communities would have a particular disadvantage: having to take time off work and/or travel to get paperwork. 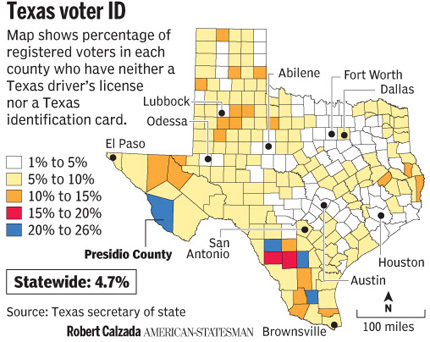 As much as 36.9% of voters in Texas with Spanish-surnames lacked the approved types of ID. As much as 17.9% of African American voters lacked the approved ID. This is a big step forward in righting the wrong of these strict Voter ID laws. Many states still have these discriminatory types of Voter ID laws still in play, but hopefully this is a step forward. 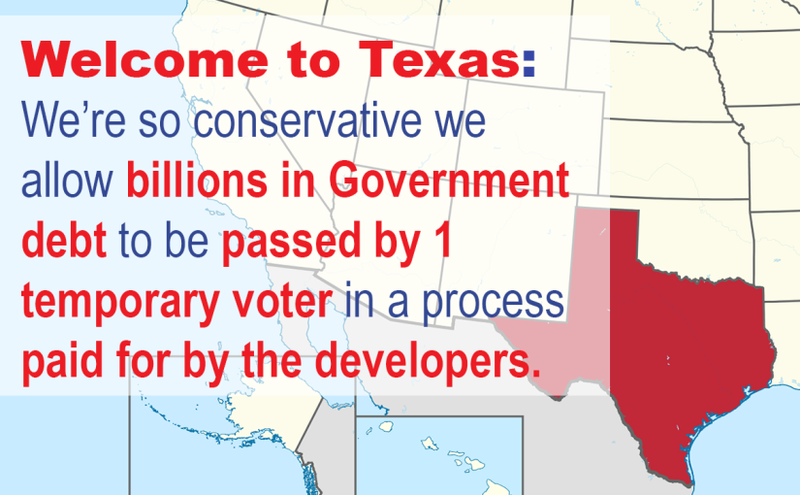 Greg Abbott has vowed to continue to beat this dead horse in Texas, but now has few avenues left for making it happen. Ultimately, these laws are ineffective at dealing with the majority of cases of actual voter fraud and the sooner their supporters stop wasting time defending them, the faster we can move forward towards legislation that empowers eligible voters to participate. Because voter fraud is actually extremely rare, better eligible voter turnout might be the best way to thwart it. James Alan Jenkins’s voter fraud conviction was overturned by the Texas 14th Court of Appeals due to the Jury not being instructed in mistake of law. The Judge in the first trial refused to instruct the Jury that Jenkins had sought counsel from state officials in Texas and reasonably believed his actions were legal, including a key recorded phone call from a state official. The Judge also refused to instruct the Jury about the mistake of law defense. Three others were also convicted for voter fraud relating to this case and they are also appealing their convictions. This decision gives hope that the others will also be granted retrials. This may be by far the most confusing voter fraud case ever encountered. 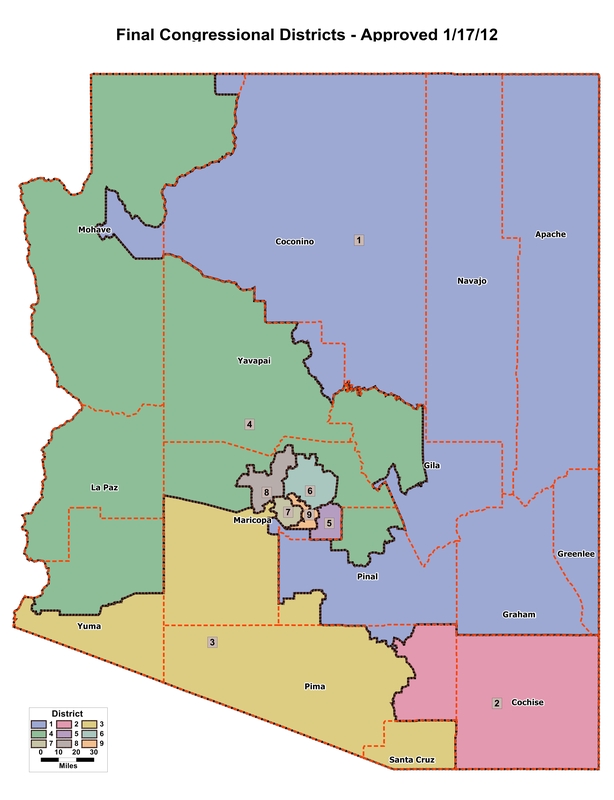 It involves a utilities district with very few registered voters because there are no residential zones in this district, the district has representatives that ran unopposed for 8 years, and when their positions are challenged arrests are made. Sounds a bit shady, so lets take a closer look. 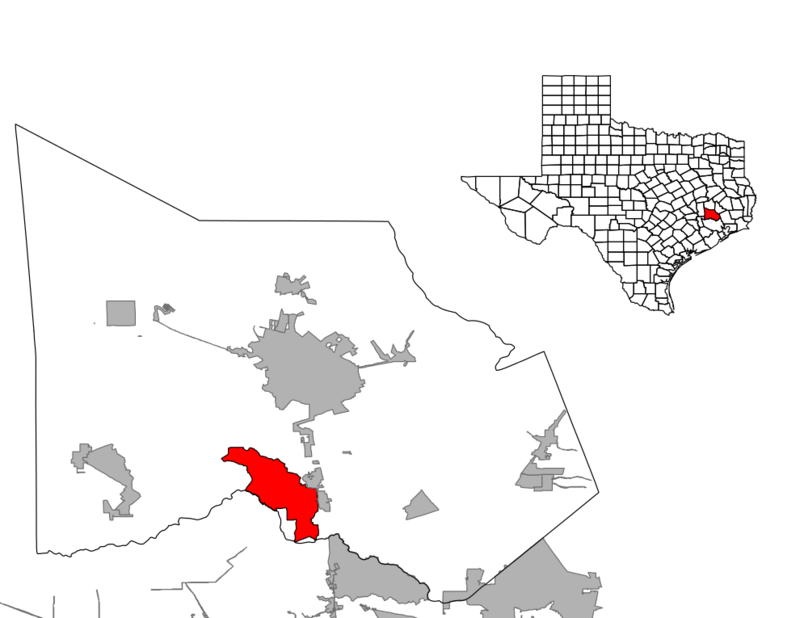 The Woodlands, Tx is in Mongomery County and is 28 miles north of Houston with a population just over 100,000. 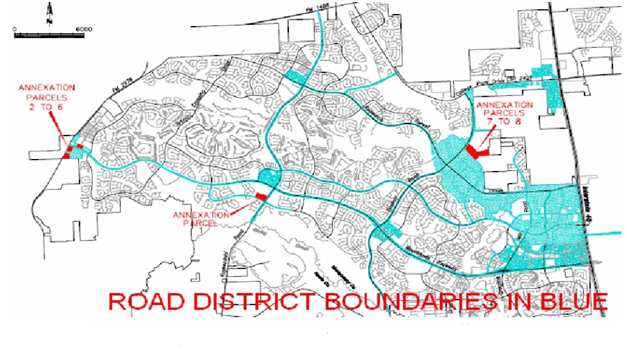 The Woodlands RUD #1 was created in 1991 and given the responsibility to maintain the roads within the district and the authority to pass bonds to do so. The commercial and industrial properties in The Woodlands RUD #1 are taxed 36 cents per $100 property value. The Woodlands RUD #1 has $110 million in debt when you combine principle and interest. Five representatives were appointed and confirmed to a board of directors for The Woodlands RUD #1 in an initial “election” in 1992 preformed in one of the few residential homes in the district, which have since been torn down for commercial use. These representatives were uncontested until 2010 when Jenkins 3 friends completed applications to get their names on the ballot. In fact, The Woodland’s RUD #1 had skipped 15 election cycles because they believed that there were no registered voters in the district. There are no residential zones within The Woodlands RUD #1 and only one couple has been given special permission to construct a residence next to a commercial building they own in The Woodlands RUD #1. This information only surfaced because Jenkins and his friends were pushing for an election to be held. At this time, according to the Board of Directors, there are only 4 registered voters in The Woodlands RUD #1 and each is registered at a commercial property. In 2015 (after Jenkins’s conviction), the board for The Woodlands RUD #1 was expanded from 5 to 7 directors “to broaden the representation (of the RUD).” Who, exactly, they are representing is unclear. Once again these “representatives” were appointed by The Woodlands city Commissioners and will presumably run unopposed for the foreseeable future. How Did Jenkins Become Involved with The Woodlands RUD #1? Jenkins involvement began because of Adrian Heath, a friend and fellow resident in the city of The Woodlands, Texas. 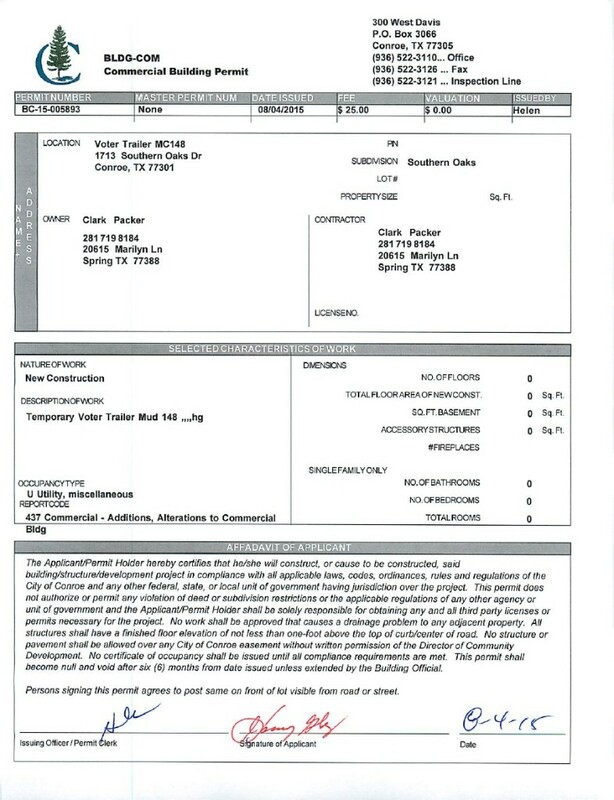 From 2008 to 2009 Heath discovered The Woodlands RUD #1 while researching local government debt. Like most residents of The Woodlands, Texas, he frequented the roads and businesses within The Woodlands RUD #1 often and he felt that the decisions made by it’s representatives, and their indebtedness, effected all the residents of the city. He did extensive research and had correspondence with local and state officials, including email correspondence with attorney Mike Page who deals with “public finance and local government law, including representation of municipal utility districts“. He discovered that three of the five positions for The Woodlands RUD #1 representatives were set to expire in 2010, and thus were up for election. This spurred more researched into legal avenues for being elected to these positions and the process of attaining residency in The Woodland’s RUD #1 for the purpose of voting. In 2009, he gathered together a group of his friends, including Jenkins, and gave a presentation to raise awareness about The Woodlands RUD #1, their indebtedness, and to encourage his friends to run for positions on the board. The ultimate goal being to be elected and to use the positions to dissolve the district altogether. McDuffee, Goeddertz, and Berntsen are all Republicans, politically active, and long-time residents of the city of The Woodlands, Texas. All three complete applications to be on the ballot for the positions. All three, along with Heath, Jenkins, and five other supporters changed their voter registration address to 9333 Six Pines Drive, the address of a Marriott Residence Inn located within The Woodlands RUD #1 boundaries. 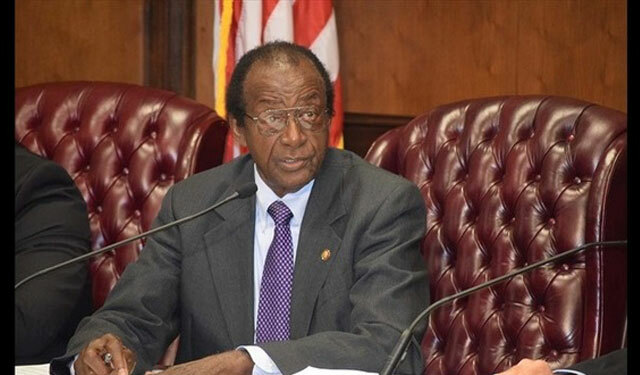 On April 21, 2010 Jenkins, and most of the others, were sent letters from the DA Phil Grant encouraging them to seek counsel and look into laws regarding their voter eligibility or residency. They already had done so, but did so again. Jenkins, McDuffee, Goeddertz, Berntsen, Heath and the five other supporters made reservations and checked-in at the Marriott Residence Inn the day before the election. Early voting totals on election day, May 8th 2010, showed two votes for the incumbents. Presumably from the couple mentioned earlier who are the only landowners who had special permission to build a residence next to their commercial building within the RUD. The incumbents lost the election 10-2 with all 10 votes for McDuffee, Goeddertz, and Berntsen placed by themselves, Jenkins, Heath and their supporters. A few days after the election the incumbents filed a lawsuit to challenge the election results based on voter fraud. As a result, many of those involved booked additional stays at Marriott Residence Inn and Jenkins even changed his driver’s license address and placed his home for sale. Election results were eventually tossed by a Judge and the incumbents regained their seats. Jenkins was indicted for third-degree felony of illegal voting on March 8th, 2012. He was convicted and sentenced to 3 years in prison. 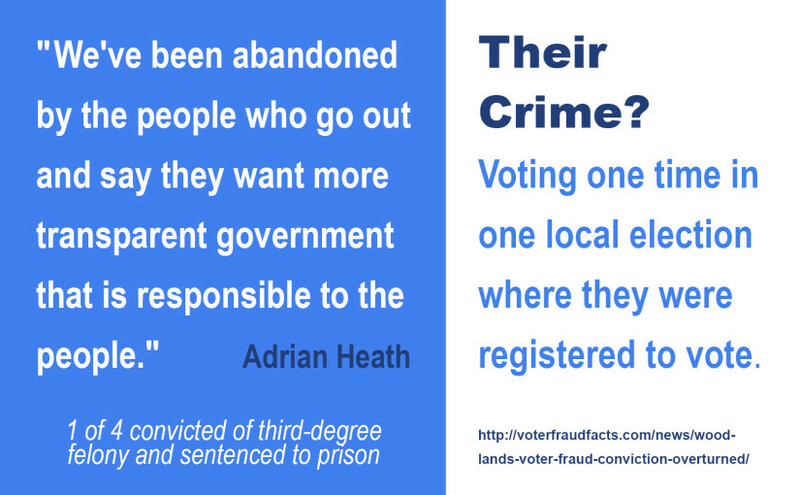 In addition, Adrian Heath, and two other supporters who refused to plead guilty in exchange for probation have also been convicted of illegal voting and sentenced to prison. All four convictions are being challenged. The other six individuals involved eventually plead guilty in exchange for probation, all except one continued to assert that they believed what they were doing was legal when they gave testimony at their friends trials. The one whose testimony acknowledge personal guilt did so only because he was the only one who did not physically stay over night at the hotel. He stated that he believed that physical presence was required for claiming residence at the hotel. In June of 2013, Jenkins was convicted of voter fraud and sentenced to 3 years in prison for voting in a 2010 election for The Woodlands Road Utility District #1 (RUD). In June of 2015, this conviction was overturned because the Jury was not counseled that they had the option to find Jenkins not guilty based on mistake of law. They were also denied testimony that Jenkins sought counsel from Texas state officials prior to changing their voter registration address. A mistake of law defense generally argues that a person is not guilty of violating law because he/she did not understand how the law applied to them. It typically requires that the defendant made an effort to understand the law and how it applied to them, but there have been cases in which it was used as a defense because a law had changed just prior to the offense. There is significant documentation and even phone recordings available demonstrating that it was reasonable for Jenkins and Heath to believe their actions taken to gain voter registration in the RUD was legal. Attorney Joe Kulhavy Secretary of State Election Law was consulted after the election results were tossed and the conversation was recorded. When this recording was made public, Joe Kulhavy was fired and this testimony was not allowed at the criminal trials. Joe Kulhavy has since gone back to being a private attorney and began an election-law blog. In fact, there is no Texas law specifically requiring someone physically live in a district they are registered to vote in, only that they have an address to use for residency in that district. This is actually the case in most states. For example, a person can be planning to move to a new location and preemptively register to vote in that location, so long as they have an address in that location to use for residency. There is also no law stating a voter can’t use the intention of voting in a particular election as grounds for changing their residency. In this case, the mistake of law defense is applicable because Jenkins and Heath made a significant effort to understand the law including: researching voter registration and boundary maps for the RUD, correspondence with Texas state and local government officials to discuss the legalities and court cases regarding establishing residency for the purpose of voter registration. Understanding the key issues about this case leaves more questions than answers. How was Jenkins even indicted if there is no law calling his actions illegal? Who exactly are these Board of Directors “representing”? Is there any way for citizens of The Woodlands to participate in the elections for these director’s positions when there are no residential zones within the district? Why are these people being treated like violent criminals for attempting to legally participate in an election process which has an affect on them and their community? It appears that Jenkins and his friends found a legal loophole to participate in an election which, for 8 years, went uncontested because of legal loopholes. A loophole that has been repeatedly exploited by developers in Montgomery County who hire “Rent-a-Voter” services to move voters into areas with no voters for the purpose of voting on Bonds to pay the developers. Despite this, Jenkins and three others were convicted of third-degree felony charges for illegal voting and sentenced to prison. It also appears that The Woodlands RUD #1 boundaries were placed specifically to keep voters from participating in the election process and that the “elected” representatives of the district used the legal system to commit election fraud in order to maintain their positions of power. Other shady facts about this case include: a law firm that has represented both the incumbents and also The Woodlands Development Company (the primary company receiving money from the RUD bonds), campaign contributions for political officials intent on prosecuting Jenkins and his friends which came from both The Woodlands Development Company and the law firm. 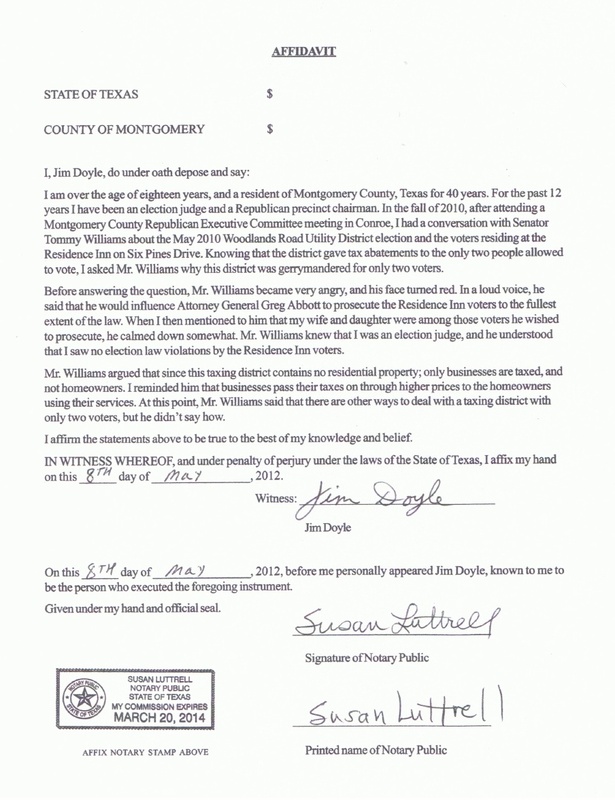 Additionally, a sworn affidavit from Jim Doyle who spoke with Tommy Williams about the case where Williams acknowledge that he would “influence Attorney General Greg Abbot to prosecute [them]” was not allowed as evidence in these individuals cases. Luckily for Jenkins, the Judge overturned the conviction and sent the case for retrial. Unfortunately, Jenkins’s fate still hangs in the balance and The Woodlands RUD #1 continues to create more local government debt to pay the contractors of their choosing unchallenged and without constituents to hold them accountable. On Tuesday June 1st, Annette Bosworth’s trial commenced in a South Dakota voter fraud case. On Wednesday June 2nd, she was convicted of six counts of filing a false document and six counts of perjury. Okay, that sounds pretty bad right? It is. These are all felony charges. She faces 24 years in prison, $48,000 in fines, and could lose her license to practice medicine. Okay, that sounds really bad! So what exactly did Annette do? Annette Bosworth is a mother, wife, physician, and was born in South Dakota. In 2013 she became interested in running for U.S. Senate for the Republican Party in South Dakota. To be on the ballet in South Dakota, you must meet a long list of requirements and collect petition signatures from supporters. So she placed the petition on the front desk at her clinic. Then disaster struck in the Philippines and Annette traveled with a Christian medical relief team to provide assistance, leaving the petition on the clinic desk to collect petitions. When she returned, six more signatures had been added to the petition (all six are from real live eligible voters). Once she had collected all the signatures she needed, she turned in the documents. She also alleges that a campaign employee had advised her that the requirement that to witness all the signatures was not something that was taken seriously in South Dakota. This was clearly bad advice. These facts were never in dispute. Annette is guilty of fraud and during the course of this case has never denied that she did not personally witness those six signatures. Why didn’t she just plead guilty? Probably because she was being charge with 12 felony charges. All the evidence seems to indicate that this was an honest mistake on Annette’s part. Unfortunately, Jury’s are not asked to judge if the charges are too significant for the offense and they are not expected to weigh the penalties of conviction against the crime. They are simply expected to decide if someone committed the crime they are charged with. After more than three hours of deliberation, and given the facts, the Jury had no real option other than to find her guilty. Attorney General Marty Jackley believes that, “the jury has sent a message that our elections in South Dakota are sacred and that the election process is important,” a sentiment that is supported by most. Elections are, in a way, sacred and the election process is obviously important. But, in this case, does the punishment fit the crime? Annette and her attorney plan to appeal the conviction, and depending on the outcome, she will then have to await sentencing. She faces a felony record, up to 24 years in prison, up to $48,000 in fines, and could lose her license to practice medicine. It is unlikely that a Judge would impose jail time given that this is a non-violent crime, but she could still lose her medical license which threatens the well being of her entire family. Voting is an essential element in democracy and, thus, preventing and prosecuting voter fraud is fundamentally important. Over the last few years, Voter Fraud political talking points has been pervasive in US media. The right shouts, “Voter fraud is destroying our democracy!” and the left replies, “Voter fraud is not real.” The truth is that voter fraud is real and it is important to prevent. The truth is that we must protect the elections process. However, it is also true that serious acts of voter fraud are not common and they are not destroying our democracy (at least not right now). What may be threatening our democracy: the inability of our elected officials to have rational dialogue about important issues and work together to solve problems. 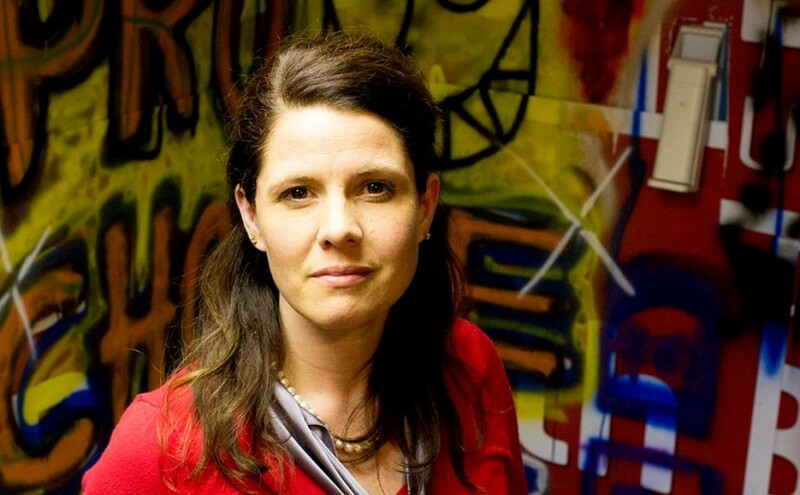 Annette Bosworth’s case offers a good metaphorical mirror to the overall voter fraud debate. The crime is real and the actions taken to address the crime are overkill.